With United set to take on fellow European giants Real Madrid tonight in the first leg of their Champions League second round clash at the Santiago Bernabeau, here is a look at how the teams match up. 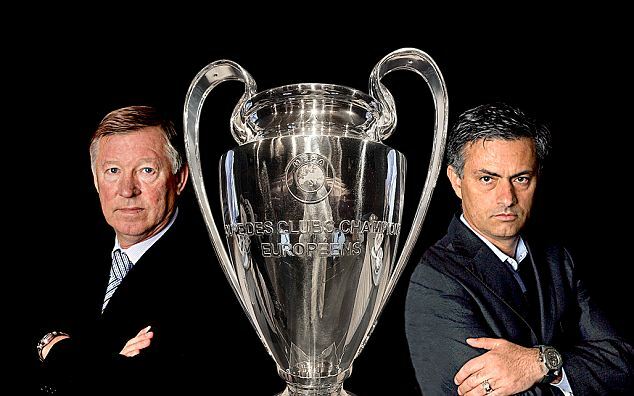 Which of these two great friends and managerial giants will come out on top at the Bernabeau? David De gea hasn’t exactly been in sparkling form of late for Manchester United but he has continued to demonstrate and underline his undoubted shot-stopping ability. He is still vulnerable when under attack from crosses but he has arguably been the recipient of some unfair criticism recently as he is still young and still will make mistakes and particularly in the Premier League which is renowned as being one of the most physical in world football. At the other end of the field to De Gea will be Diego Lopez who has recently made a January return to the Santiago Bernabeau. Having spent the vast majority of this season warming the bench he has found himself thrown into the limelight back in Madrid having been signed following the broken hand which Iker Casillas suffered shortly before the close of the transfer window. He may not have played a great deal of football this season but he has built a fine reputation throughout his career in Spain and he has impressed since his return and the lack of high pressure action doesn’t seem to have had too much of an effect on him. Manchester United started the season looking incredibly shaky at the back and this wasn’t helped by the number of injuries they suffered in the heart of their defence. Now though they have a full compliment of centre-halves back in action and with all their options returning they have gradually steadied the ship. They have picked up a few more clean sheets of late and they will be particularly pleased with the increased maturity of right back Rafael this season as well as the return to prominence of Patrice Evra who has been back to his best after a shaky 2011/12 season. Madrid too have struggled defensively this term and have yet to work out exactly what is their best four man combination at the back. Amidst the gloom though, Sergio Ramos has emerged as the shining light of the Madrid defensive unit and young starlet Raphael Varane is coming along nicely in Ramos’ company, so much so in fact that he might ge the nod ahead of the more experienced Pepe this evening. Though this area of the field isn’t exactly United’s strongest department, they have been strengthened by Michael Carrick who has had a fantastic season and the recent return to fitness and form of defender-come-midfielder Phil Jones who has done a fantastic job of man-marking the likes of Luis Suarez and Marouane Fellaini in recent weeks. The trouble for United in this area though is that tonight they will be faced with the task of trying to nullify the potent threat of Cristiano Ronaldo whilst not ignoring the other attacking talents that Madrid possess. Madrid, like United, are not deeply stocked in this area of the field but fortunately for them their two best operators in these positions, Sami Khedira and Xabi Alonso, are both available tonight. This pair will have to be at their very best tonight to cut off the creative source from Wayne Rooney who I think Jose Mourinho will earmark as the greatest threat to his defenders this evening. This is the area of the field in which both of the sides are most capable. So strong indeed that there is only one must-pick for each side in this area of the field and those are Wayne Rooney for United and obviously Cristiano Ronaldo for Madrid. The way the rest of the line-ups will look in this area of the field though is less predictable as United have Ashley Young, Antonio Valencia, Nani, Ryan Giggs, Danny Welbeck and Shinji Kagawa to pick from and Madrid have the likes of Angel Di Maria, Mesut Ozil, Luka Modric and Jose Callejon to choose between. 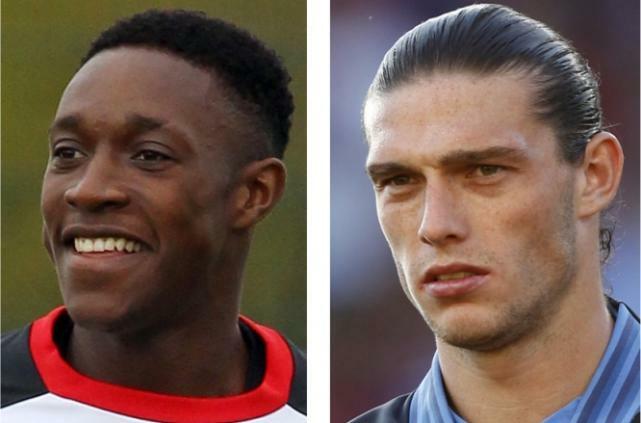 Manchester United capture of Robin Van Persie in the summer has improved the look of their squad no end. He has carried on his stunning form from last season at Arsenal and he has boosted the United squad to the point where it looks the best it has since they last won the Champions League and since the departure of Ronaldo to Madrid. Leading the line for Madrid is Karim Benzema who has as many natural attributes as a centre forward could ever wish to have but it is hard not to feel as if he still hasn’t fully realised his potential. He has played against United before in his days at Lyon and has caused them a lot of problems so he will likely get the nod ahead of Gonzal0 Higuain. In the opening game France were undoubtedly the side dictating the play against England but they did seem to lack real drive and creative ability in the middle of the park. This is a problem which needs to be sorted very quickly if they are to fulfil their ambitions at this tournament, as the likes of Samir Nasri and Karim Benzema were forced to drop deep on too many occasions which meant that the French struggled to make real inroads into the heart of the English defence in spite of their possessional and territorial superiority. It is arguable that the Ukranian defence will present greater openings for the French to take advantage of than England afforded them but still the French must focus on using the ball more effectively and supplying their more dangerous players with greater opportunities to harm the opposition. France’s opponents on Friday are the co-hosts Ukraine who pulled off one of the results of the first round when they defeated Sweden by two goals to one in Kiev. Inspired by their ageing talisman Andriy Shevchenko, Ukraine managed to fight back from a goal behind and in doing so proved that they may well do better than people expected them to. In addition to Shevchenko it was Ukraine’s young attacking midfielder Andriy Yarmolenko that caught the eye for the co-hosts in their opening victory. He looked strong, full of energy and technically very sound when crossing from wide positions. If the Ukraine are to push for qualification to the latter stages of the competition then he will surely be key to their hopes and France and England must both be wary of the threat that he poses. Even though I was pleasantly surprised by the performance of the co-hosts in the opening game they did seem constantly troubled by the presence of Sweden’s real world-class talent Zlatan Ibrahimovic and I think they will struggle to keep the French at bay as they possess more than just one major attacking threat. 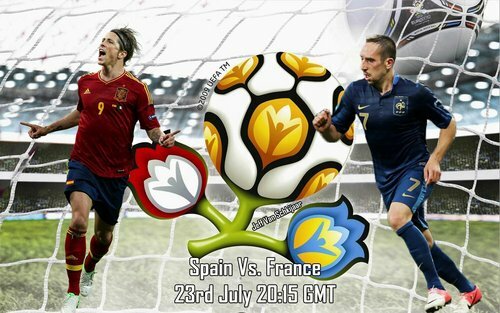 I think France will win this game 3-1 and will put themselves in a very decent position in the group. Whilst England will be fairly pleased with their first performance of the Euros, today’s opponents Sweden will be more than a little irritated with their own progress to date. The Swedes performance in the 2-1 loss to the Ukraine was very disappointing and it is of no real surprise that there are rumours circling of division in the camp in the wake of such a disorganised outing against a side who they will feel they should have beaten. 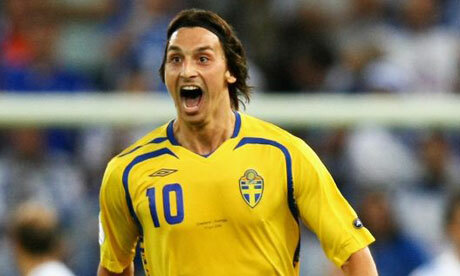 Zlatan Ibrahimovic for long periods of the game seemed the only player in the Sweden side capable of causing any damage at all but even he was a little wasteful at times and at the back their experienced campaigners Olof Mellberg and Andreas Granqvist appeared as if they had under-estimated and were ill-prepared for the threat posed by Andriy Shevchenko in terms of his movement and his aerial ability. It is this lack of defensive organisation which will excite England the most going into the second game of the tournament as their side is likely to be packed with players capable of causing the Swedish defence a lot of problems in the air. It sounds as if England are going to opt for two front men in this game with Andy Carroll expected to take the place of Alex Oxlade-Chamberlain whose likely omission will mean that Ashley Young will switch to a wider role on the left. I for one think that this switch in formation is a sensible one going into the game against Sweden given their apparent weaknesses in defence and if Ashley Young and James Milner can provide decent service from the wings then Danny Welbeck and Carroll should have plenty to feed off of. I think England will win the game 2-0 and will sit joint top of Group D with France come the end of today. England and France have arguably been two of the most frustrating sides in tournament football over the past ten years as England have consistently under-performed and France have failed to maintain an extended period of dominance in the wake of their back-to-back World Cup and Euros wins in 1998 and 2000. This time around both sides head into the tournament with perhaps a little less expectation weighing them down and both will hope that this can work in their favour. France have come to Poland and Ukraine with a fairly fresh looking and youthful squad and some are tipping them as dark horses to sneak a way through to the latter stages of the tournament. I think their squad is indeed full of interest and the fact that they have opted for just two out-and-out strikers in their set-up suggests that they will go for one up top and play with a trio of attacking midfielders each with a license to roam in behind Karim Benzema. This modern approach could serve the French well and I expect them to top the group. England may also have a slightly less familiar look to their squad than in recent tournaments but it seems that they will opt for a far more old-fashioned and rigid formation and structure. The major hiccup in England’s preparations has arguably been the two game suspension hanging over star man Wayne Rooney’s head, as it is difficult to see them scoring a great deal of goals and playing with the attacking imagination required to beat a team like France when he is absent. Having said that though, I think England’s defensively minded set-up will see them get a 1-1 draw against the French which wouldn’t be a bad result for either side in the context of the group. The second match of Group D may not sound like a cracking game on paper but the fact that co-hosts Ukraine will be making their European Championships bow in elaborate fashion provides the game with plenty of intrigue. Also, the performance of Sweden could be very interesting to keep an eye on as a win for them in particular would cause some major concerns for either England or France if they were to lose out in their head-to-head on Monday evening. Sweden have a stronger squad at their disposal than their opponents tonight but Ukraine will surely find some inspiration from their home following and the co-hosts could well prove to be very difficult to break down. Crucial to their hopes of shocking the rest of Europe and qualifying for the quarter-finals is holding midfelder Anatoliy Tymoschuk who reads the game very well and is very capable when it comes to breaking up the oppositions play. Whether or not Ukraine are as dogged as expected, if Sweden play to their potential and the likes of Zlatan Ibrahimovic can contribute strongly then they should win this game and they should maintain hope that they can outdo either one of England or France in the group stages as a whole. I think that Ukraine will try and play mainly very defensive and abrasive football and will succeed for the most-part in keeping Sweden at bay on the night but I think the Swedes will make a breakthrough at some point and will begin their campaign with a narrow and hard-earned 1-0 win. Euro 2012 Group D: How will Roy’s boys fare in their testing group? The past five years have been very tough for the English national side in the wake of their failure to qualify for the Euros in 2008 and their dismal showing at the 2010 World Cup when handed a very favourable looking group draw but with a new man at the helm England will be hoping for greater success, stability and continuity. Given the disappointments of recent times, their performances and results throughout the qualification for Euro 2012 must have gone some way towards restoring some lost confidence and were deserving of a fair amount of credit. It was of course Fabio Capello who lead England throughout this process but perhaps his departure was for the best for England and for Capello himself as the English public, media and even some of the national team players never really warmed to the Italian. In charge of England now is Roy Hodgson who has already been the target of some pretty unfair criticism just for being appointed as boss but the fact of the matter is that Hodgson is a wily old fox and will have been prepared for the glare of the media and some of the negative criticism that has come his way. Roy is a man who lives and breathes football and being a proud Englishman will realise that English fans are amongst the most passionate in the world and that sometimes this passion will spill into the realms of harshness and irrationality. In spite of Hodgson’s critics and the slightly stand-off-ish nature of their two performances under his guidance to date, England have won both of their games since Hodgson took charge of the side and Roy will head into the Euros pleased with the fact that he has a 100% record as England manager. Probably the major concern for Hodgson heading into the tournament is the late losses of the experienced Gareth Barry and Frank Lampard and the talented Gary Cahill to injury, all of whom had a genuine chance of making Roy’s starting line-up against France next week. One to watch… Alex Oxlade-Chamberlain: Since Arsenal manager Arsene Wenger opted to give ‘The Ox’ a run in their first team the winger-come-attacking-central-midfielder has developed at a frightening pace. The really impressive thing about him as a young player taking his first major steps into top level professional football is that he seems not only to be un-phased by the big occasion but that he appears inspired by such scenarios. If given the chance to impress I could see him having a similar impact to Wayne Rooney in Euro 2004. The past fifteen or so years have seen the French become arguably one of the most maverick and most frustrating sides in international football game. Having won the World Cup in 1998 and the Euros in 2000 France looked set for an era of dominance but since then their major tournament success has been horribly inconsistent. In 2002 France made an embarrassing first-round exit when defending the World Cup, in 2004 they lost out in the quarter-finals when defending their European crown, in 2006 they defied most people’s expectations of them in reaching the final only to lose out on penalties, in 2008 they were again left embarrassed as they failed to get out of their group and worst of all in 2010 they collapsed into a state of mutiny and were again eliminated in the group stage. This time around though some peace seems to have been brought to proceedings in the French camp and their squad is packed full of young and precocious talents and it is in attack where they look most exciting. They are likely to opt for Karim Benzema up front with the likes of Franck Ribery, Samir Nasri, Jeremy Menez and Hatem Ben Arfa likely to provide the support on the flanks. Each of the aforementioned players have on occasion failed to live up to the hype that has preceded them in both domestic and international football and each of them will be keen to prove their doubters wrong. One to watch… Frank Ribery: There are several very exciting players in the French squad going into the Euros including many players in their infancy as international footballers but my ‘one to watch’ is Ribery who is arguably their greatest example of a player who has struggled to live up to his own billing on the biggest stages in world football. At times Ribery can look like the most threatening and technically able wide-man in world football but up until now he has too often had his threat negated by teams who have put thought into how to stop him and he, his club sides and the French national side have paid the price. Euros nostalgia: France have twice won the tournament, their first triumph was in 1984 where UEFA President Michel Platini was their captain and then their second European Championship win came in 2000 courtesy of an extra-time winner from David Trezeguet. Tournament prospects: As ever it is almost impossible to know how this tournament will go for the French. If their inexperienced players grasp their opportunities and adapt quickly to the requirements of major international football then they could well be set for a long run this summer but if not then another embarrassment could be on the cards. I think they will at very least get through the group and progress to the knock-out stages. Sweden may not appear to have quite as good a squad as England or France heading into the Euros but it does contain some very experienced players. One of these veterans is Zlatan Ibrahimovic who as well as providing leadership and inspiration will also try and provide the flair, imagination and world-class conviction needed to mount a challenge towards progression from the group stages. Other players who could have a big impact for Sweden this summer include Kim Kallstrom of Lyon, Sebastien Larsson of Sunderland, Johan Elmander of Galatasaray and Ola Toivonen of PSV each of whom have impressed in some of Europe’s top domestic leagues over the past few seasons whilst having featured regularly with the national side. It isn’t only in the experience department where Sweden are looking strong either as they have named the likes of Rasmus Elm and Emir Bajrami in their squad, both of whom have impressed in the infancy of their club and international careers. One to watch… Zlatan Ibrahimovic: Ibrahimovic is one of football’s more interesting characters as well as being one of the most talented players on the planet. He has enjoyed great success throughout his club career but he continues to be thought of by many as being overrated. The only way for him to prove his doubters wrong is for him to perform in a huge tournament in which the whole world will see him and appreciate him and the Euros provides him with a great opportunity to do so. Euros nostalgia: Sweden’s best performance in the Euros came when they were the host nation in 1992. They performed strongly in the group stages on home turf and went through to the last four as group winners only to be knocked out by Germany at this stage. Their fellow Scandinavians, Denmark, were the surprise winners of the competition that year. Tournament prospects: If France and England both perform to their potential then it is hard to see Sweden progressing, particularly as co-hosts Ukraine make up the group. However, both France and England have underachieved at times over the past decade so the Swede’s certainly do have a hope of making it through and into the knock-out stages. Co-hosts Ukraine look the weakest side in group D on paper but they will be banking on home advantage to help them spring a surprise and make it through to the last eight of the competition. The vast majority of Ukraine’s squad play their football on home soil and as a result they will go into the competition as something of an unknown quantity as most people, including myself, are fairly ill-informed about the Ukranian leagues. 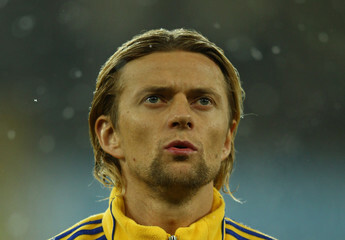 Though much of their squad will be relatively unknown to many, there are a few very familiar names present including legendary striker Andriy Shevchenko, former Liverpool forward Andriy Voronin and Bayern Munich’s hugely experienced holding-midfielder Anatoliy Tymoschuk. One would assume that Shevchenko in particular could bow out of international football after this tournament on home soil and how he would love to sign off in style with a reminder of the old magic that once made him one of world football’s most celebrated front-men. One to watch… Andriy Yarmolenko: The young Dynamo Kyiv prospect has already shown great versatility in his fledgling career as he has demonstrated an ability to switch seamlessly between playing as a striker and playing in midfield for both club and country. The 22 year-old already has a very impressive international record having scored eight goals in just twenty appearances. Euros nostalgia: Since becoming an independent nation and football side Ukraine have never qualified for the European championships so the opportunity to host the tournament has provided them with a huge opportunity given that the hosts have an automatic right to qualification. Tournament prospects: As I’ve mentioned, Ukraine definitely appear to have the weakest squad on paper but being the host nation can sometimes inspire greatness. Even some of football’s lesser sides have prospered when given such an advantage and Ukraine will hope to join the list but in reality they are more than likely to fall at the first hurdle. If England and France play to their potential then they should both progress to the knock-out stages. However, both Ukraine and Sweden possess a decent threat and the two favourites to move forwards from the group will have to be very watchful in order to avoid an upset. I am finding it hard to call who I think will top the group but I will go for France with England qualifying in second place. I think both Sweden and Ukraine will pick up at least a point in the group with Sweden to finish third and co-hosts Ukraine to struggle into last place.